Donna was passionate about history and genealogy and devoted to helping researchers. She was associated with The GAGenWeb Project since its inception in 1997, at various times coordinating the Forsyth, Hall, Dawson, Lumpkin, Gordon and White county sites, as well as numerous independent sites related to north Georgia history and genealogy. 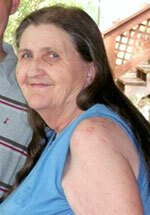 She was coordinator of the Forsyth GAGenWeb site at the time of her death. She researched history as part of the Forsyth County Historical Society and for herself. She co-authored two books about Forsyth County and wrote a regular "Heritage Sharing" article for the Forsyth County News. Donna is survived by three daughters and one son; six grandchildren including Jessica Lokay Owens, who coordinates the Cherokee GAGenWeb site; many great-grandchildren and a brother and sister. She was preceded in death by her parents, husband Truby Brantley Parrish and one son. Jackie was a great contributor to Georgia Genealogy. She typed up so many obits, newspaper items, histories, biographies, and surveys several cemeteries mostly in the Northern Georgia counties such as Hall, Banks, Franklin. She was truly dedicated to preserving Georgia Genealogy. Her death was quite sudden from a massive heart attack. All of us who work with the GAGenWeb were saddened by the very sudden death of Ken Johnson on Oct 17, 2006. Ken was such an integral part of the Archives. The counties that he maintained in Georgia were numerous and we know he helped so many, many researchers along the way. Ken and Carolyn were a team! In fact, I believe that Carolyn is the reason that Ken became a "file manager". She was already contributing so much data to the Archives, and when more volunteers were requested to help out in an administrative role, Ken volunteered. He was very conscientious about uploading files and keeping his pages arranged to be helpful to any researcher looking for information on their family. For years he kept the weekly update for "new files" contributed until the amount of files increased so much, it just didn't seem feasible for him to spend so much time doing that. His attention to detail was always so obvious. Ken was so easy to work with and will be missed by all of us. His genealogy work will live on. Fascinated by genealogy, Bill Clody managed the Walker County section of the online GAGenWeb Project, part of the USGenWeb Project. He traveled to Tennessee and North Carolina and compiled quite a family tree, going back some 200 years.